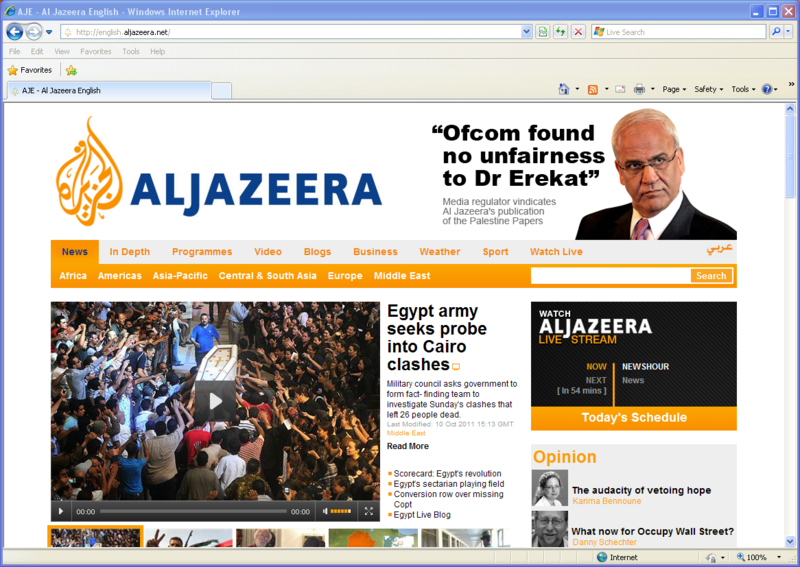 Site Name and Description: Al Jazeera is a Middle Eastern news website based out of Qatar. The site offers 24-hour news and current affairs information in English. 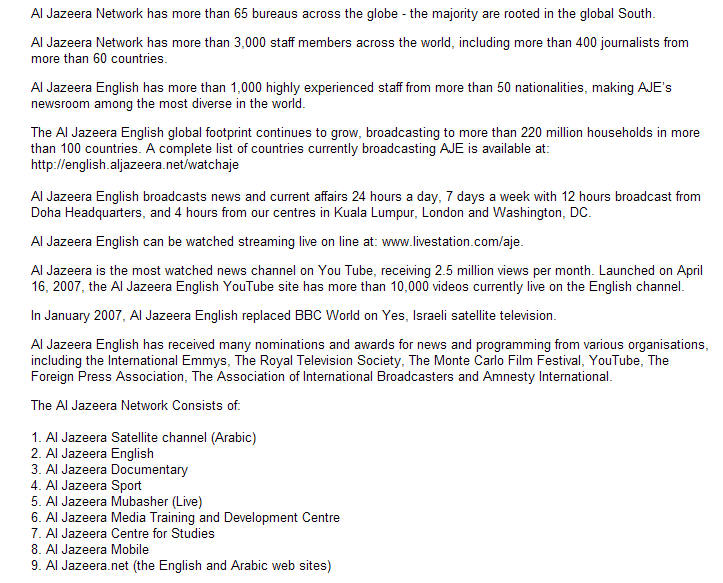 While we are looking at the English version of the site, the original is in Arabic. Design Overview: Unlike news websites, such as CNN, the images are smaller and the initial view of the website is focused on current news because of it. The overall design is simple and clear. Audience: English-speaking nations, though conservative Americans discount this site as a viable news source. Business/Site Goals: Around-the-clock dynamics news coverage of events and issues in the Middle East. Social media integration: The site contains a large blog section, grouped by topic and language, and including live blogs for important countries in the region.